Garrett FitzGerald and his wife Joan. 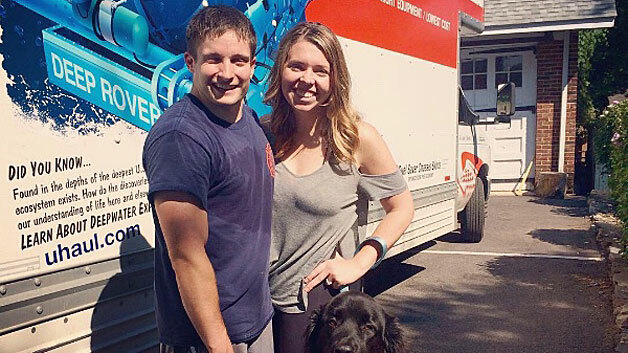 A Secret Service agent who was paralyzed in a car crash while on duty in New Hampshire in 2015 will join the throngs of runners in the Boston Marathon on Monday. 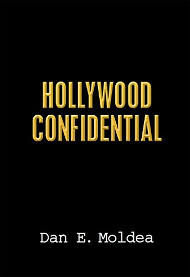 Agent Garrett FitzGerald will be joined by his supervisor, Don McGrail, who is the assistant to the special agent in charge. “We were struck head-on by a driver driving the opposite direction who was high on heroin,” FitzGerald told WMUR.com. FitzGerald and McGail are running under the name, Team Fritz, in hopes of raising $20,000 for Journey Forward, where Fitzgerald spend four days a week for nearly three years in rehabilitation. As of Monday morning, they have raised $11,662. “What they do here is nothing short of a miracle,” FitzGerald said. FitzGerald never gave up, and seven months ago he became a father. The FBI agent who fatally shot a friend of one of the Boston Marathon bombers had a troubled past, but a prosecutor said it had no impact on clearing the agent of wrongdoing, the Boston Globe reports. FBI Agent Aaron McFarlane said he shot Ibragim Todashev in Orlando out of self-defense. 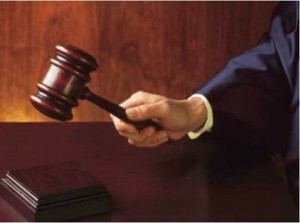 Prosecutor Jeffrey Ashton agreed that McFarlane was trying to defend himself from an attack. “I concur in his assessment that there is nothing contained in those disciplinary files which would change my previous assessment that the agent(s) involved used lawful deadly force in their encounter with” Todashev, Ashton said in the letter. In the past, McFarlane has been accused of brutality at least twice and falsifying a police report and was the subject of four internal affairs investigation. Posted: September 4th, 2015 under News Story. The trial for suspected Boston Marathon bomber Dzhokhar Tsarnaev continued Monday as defense attorneys grilled FBI Special Agent Kevin Swindon about his knowledge of computers and the evidence. MassLive.com reports that attorney William Fick appeared to grow agitated as Swindon struggled to answer some of his questions. Swindon was unable to answer some of the questions directly, frustrating Fick. The testimony sheds some light on the defense’s strategy, which appears to be discrediting the evidence. The evidence was collected from three computers. Posted: March 24th, 2015 under News Story. 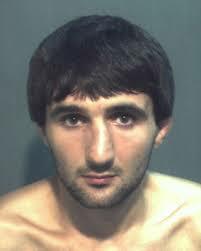 A Florida-based Muslim advocacy group is suing the FBI after an agent fatally shot Ibragim Todashev, a Chechen national who was friends with one of the Boston Marathon bombing suspects, The Boston Herald reports. The Council on American-Islamic Relations is suing for $30 million in the wrongful death lawsuit. A spokesman for the FBI did not comment. The FBI agent was not charged in the shooting because the Florida state attorney determined the shooting was self-defense. Posted: March 3rd, 2015 under News Story. After an eight-day trial, a Boston federal jury Tuesday convicted a college friend of suspected Boston Marathon bomber Dzhokhar Tsarnaev, of making false statements to the FBI’s Joint Terrorism Task Force. 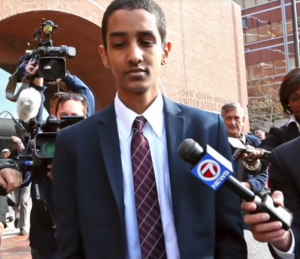 Robel Phillipos, 21, of Cambridge, Mass., was found guilty of making false statements on April 20 and April 25 in 2013. Sentencing is set for next Jan. 29. 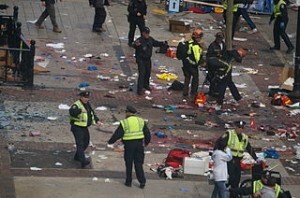 “In the wake of one of the most significant events in this City’s modern history – an event which left two young women and a child dead, and many more injured – thousands of ordinary citizens assisted law enforcement in identifying and locating the perpetrators,” Boston U.S. Attorney Carmen Ortiz said in a statement. “Today, a federal jury concluded that Robel Phillipos did just the opposite. He lied to agents when he could have helped. He concealed when he could have assisted. It is a crime to lie to law enforcement agents, and that is why Robel Phillipos was charged and why the jury found him guilty today. But this case also reminds us that our public safety network relies on every citizen in the Commonwealth. In August 2014, Dias Kadyrbayev pleaded guilty to obstruction of justice charges related to the Boston Marathon bombing investigation. Kadyrbayev admitted to removing evidence from Tsarnaev’s dormitory room at University of Massachusetts Dartmouth and discarding Tsarnaev’s backpack with fireworks, some of which appeared to have been emptied of their explosive powder, in a garbage dumpster. In July 2014, Azamat Tazhayakov was found guilty by a federal jury in Boston of obstruction of justice charges for his role in impeding the Boston Marathon bombing investigation. His conduct was related to the same conduct as charged against Kadyrbayev that occurred in Tsarnaev’s dormitory room on the evening of April 18, 2013. At the Phillipos trial, the government proved that Phillipos lied about his knowledge and activities on the evening of April 18, 2013. Specifically, Phillipos repeatedly lied to investigators when he denied that, on the evening of April 18, 2013, he entered Tsarnaev’s dormitory room and saw Kadyrbayev remove a backpack containing fireworks. According to evidence presented at trial, at 7:00 p.m. on April 18, 2013, Phillipos saw the images released by the FBI of the two suspected bombers and immediately recognized one of them as Dzhokhar Tsarnaev. At 10:00 p.m., Phillipos went with Tazhayakov to Tsarnaev’s dormitory room where he and Tazhayakov watched, as Kadyrbayev searched through Tsarnaev’s belongings and found a backpack containing fireworks. When Kadyrbayev, Tazhayakov and Phillipos left Tsarnaev’s room at 10:30 p.m., Kadyrbayev removed Tsarnaev’s backpack containing fireworks, a jar of Vaseline, and Tsarnaev’s laptop computer. Later that night while Tazhayakov and Phillipos were monitoring the manhunt for the Tsarnaevs on television, Kadyrbayev discussed getting rid of the backpack containing the fireworks with them. Tazhayakov agreed with Kadyrbayev that they should get rid of it. After this conversation, Kadrybayev placed Dzhokhar Tsarnaev’s backpack in a garbage bag and placed it in a dumpster outside their New Bedford apartment. The FBI recovered the backpack a week later, after 30 agents spent two days searching a landfill in New Bedford. Posted: October 28th, 2014 under News Story. 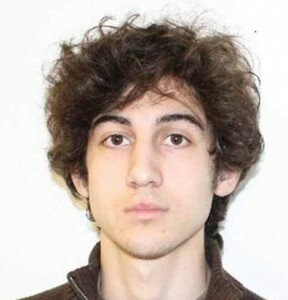 A jury has begun deliberating in the trial of a friend of the Boston Marathon bombing suspect. The Boston Globe reports that the fate of Robel Phillipos is now in the hands of a jury. In closing arguments, Phillipos’ attorney said the government failed to show that he “knowingly and intentionally” made false statements during the investigation. The attorney said Phillipos’ memory was clouded by marijuana. But U.S. attorneys said Phillipos intentionally lied to protect his friend. “This case is about someone who lied, not about someone who didn’t remember,” Assistant US Attorney Stephanie Siegmann said. Posted: October 22nd, 2014 under News Story. The sister of Boston Marathon bombing suspect Dzhokhar Tsarnaev was arrested Monday after police say she threatened to bomb a New York City woman, Fox News reports. Ailina Tsarnaeva is accused of making the threat via telephone Monday. She been charged with aggravated harassment and is due in court Sept. 30. Tsarnaeva couldn’t be reached for comment. Her brother, Dzhokhar Tsarnaev, pleaded no guilty to killing three people in the April 2013 marathon explosions. Posted: August 28th, 2014 under News Story.